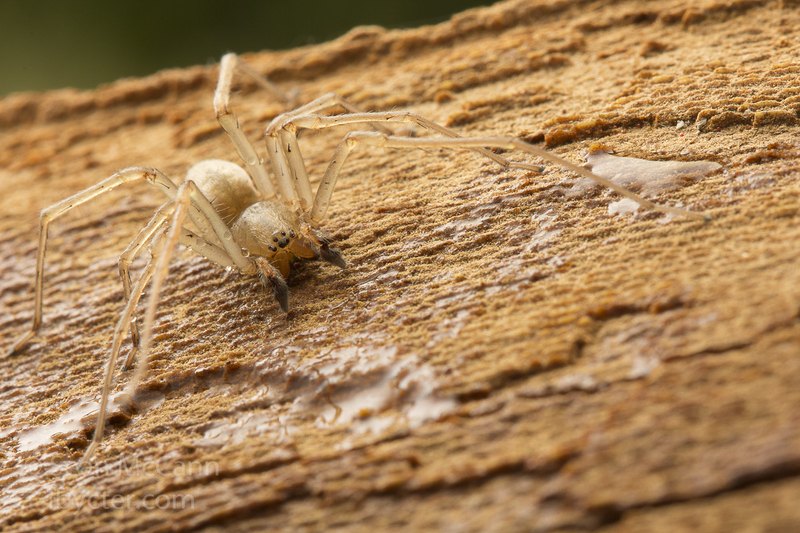 The first spider of spider week, squeezing into the 7th-most-likely-to-be-misidentified-as-a-brown-recluse spot (despite not even being brown), is the yellow sac spider. This common name may be used to refer to multiple similar-looking species in the genus Cheiracanthium (family Eutichuridae). 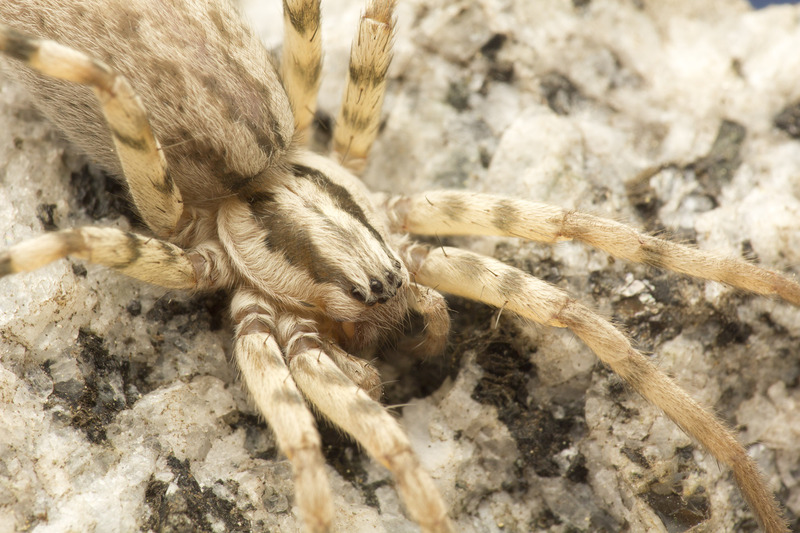 Cheiracanthium inclusum (female). Photo: Joe Lapp (also known as Spider Joe), used with permission. In North America we have two species: Cheiracanthium inclusum (a native species) and C. mildei (introduced from Europe). 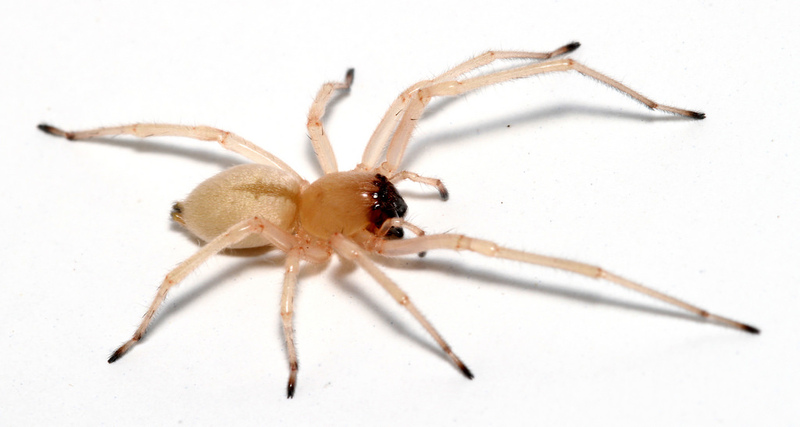 Other names for yellow sac spiders include black-footed spiders, long-legged sac spiders, and yellow house spiders. 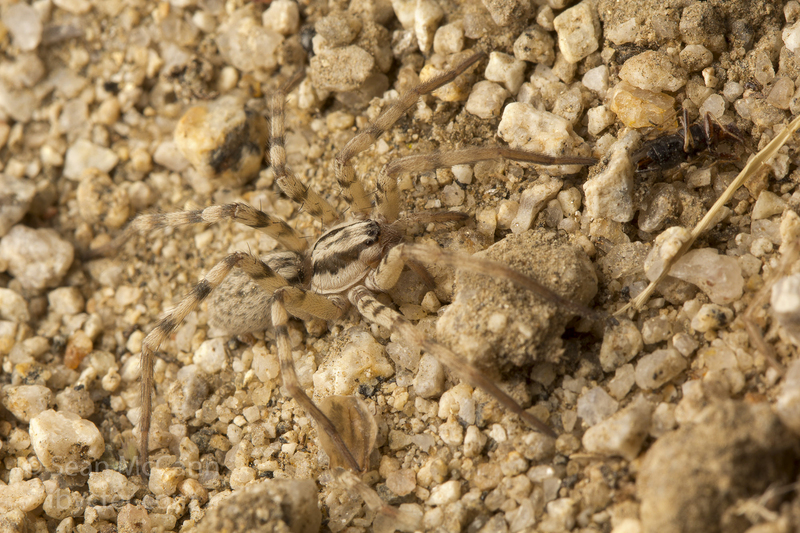 All are pretty good descriptive names, because Cheiracanthium are indeed long-legged, black-footed, and commonly found in houses. 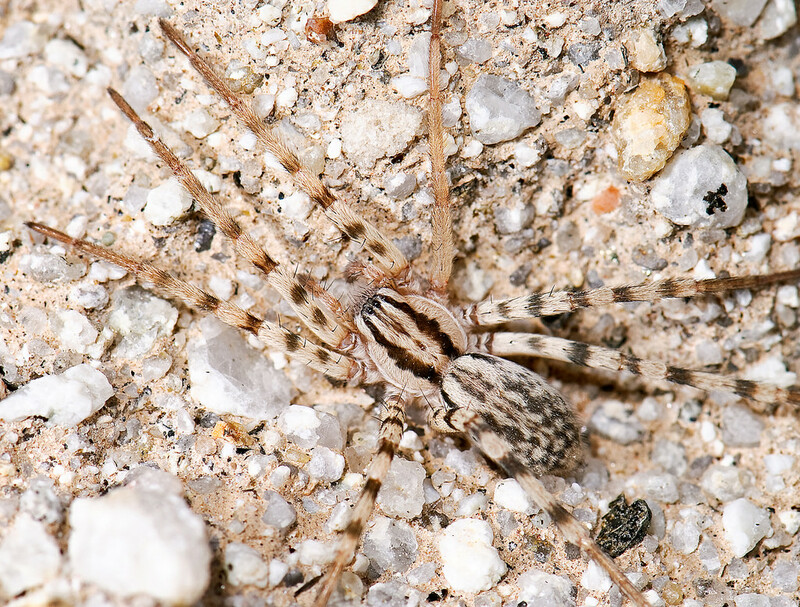 Cheiracanthium mildei is more often found indoors, whereas C. inclusum (also known as the agrarian sac spider) is more common outdoors in fields and foliage. 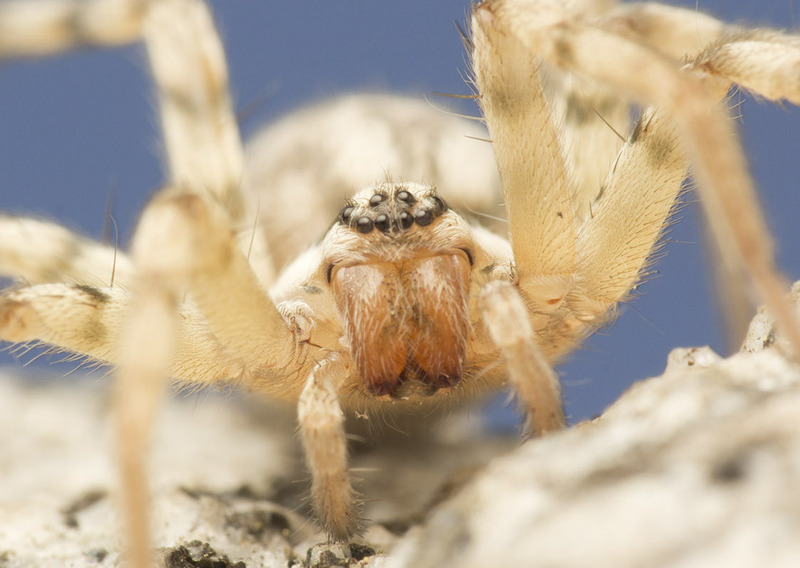 Cheiracanthium male. Photo: Sean McCann, used with permission. 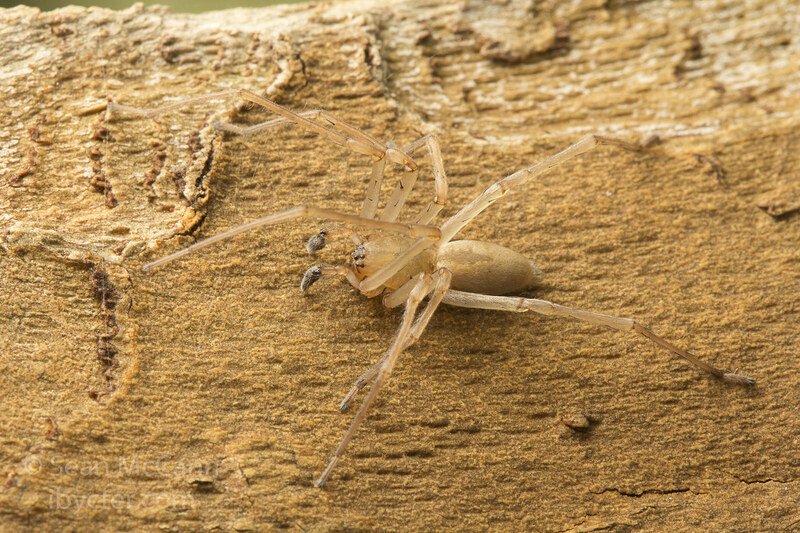 Identification: Yellow sac spiders are fairly easy to identify based on some distinctive features. 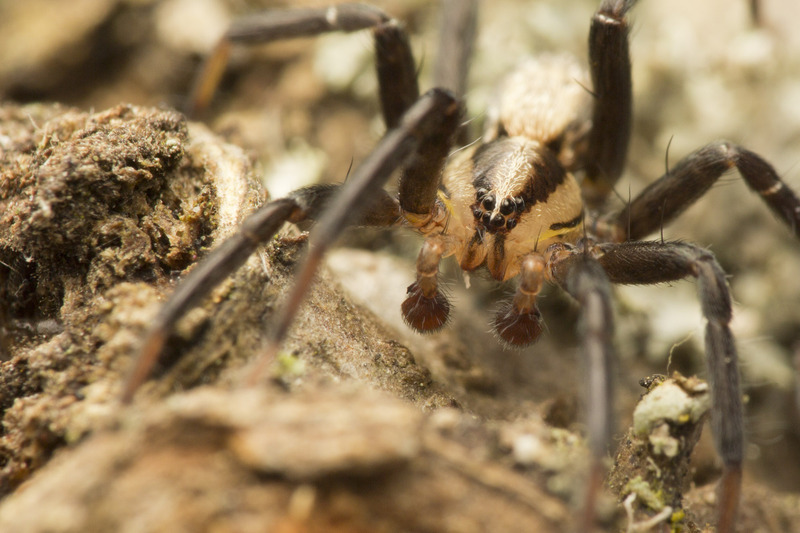 They have relatively long legs, with the front pair of legs longer than the rest, and black “feet” (tarsi equipped with tufts of dark hairs that allow the spider to easily scale vertical walls). 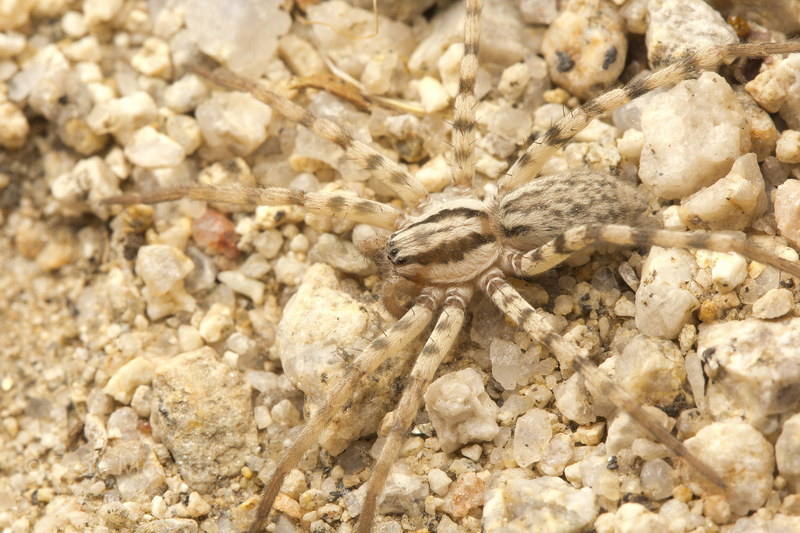 Overall colouration can vary from pale yellow or tan to light green or even sometimes orange or brown, depending on the spider’s diet. 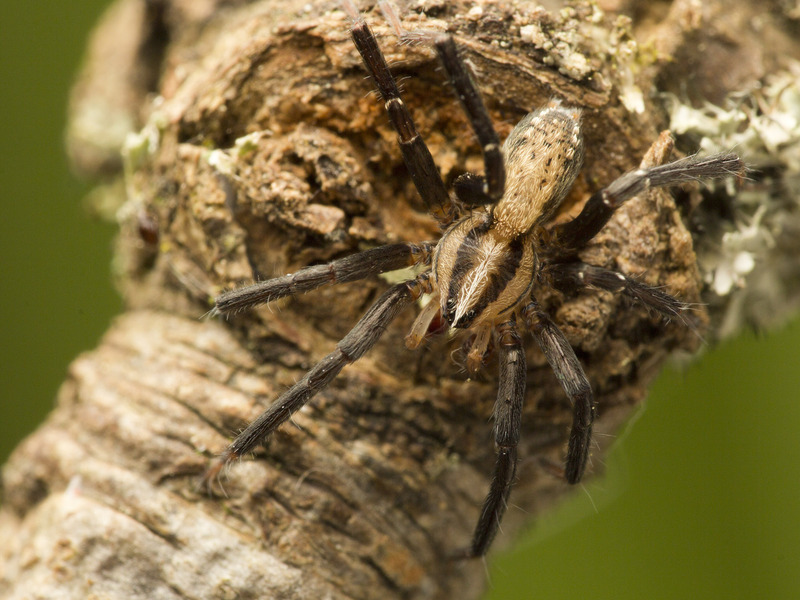 Typically there is a darker longitudinal stripe called a heart mark (because that’s where the spider’s heart is) along the abdomen. Although most folks don’t usually get close enough to count them, the eight eyes are all similar in size and arranged in two nearly straight rows. 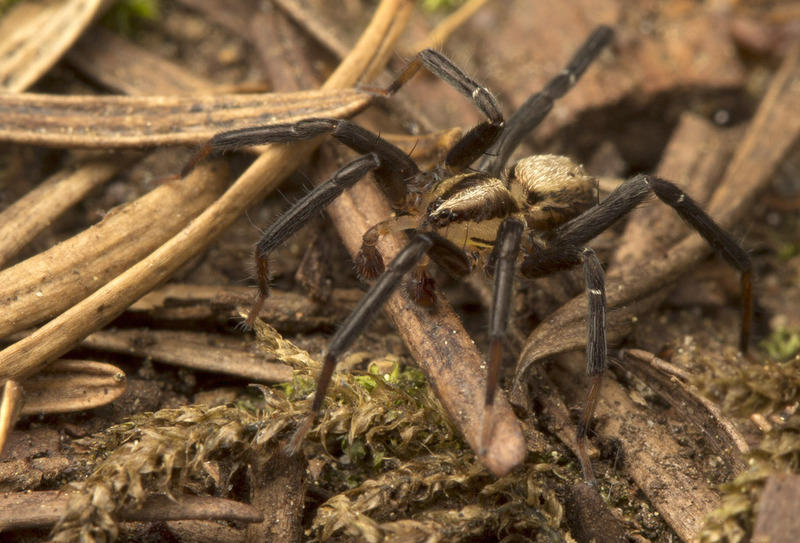 Sac spiders in the family Clubionidae are probably most likely to be confused with yellow sac spiders, but they have shorter, more robust legs, and the front pair is not longest. Cheiracanthium inclusum. Photo: Joe Lapp, used with permission. Cheiracanthium eye arrangement. Photo: Don Loarie, licensed under CC BY 2.0. 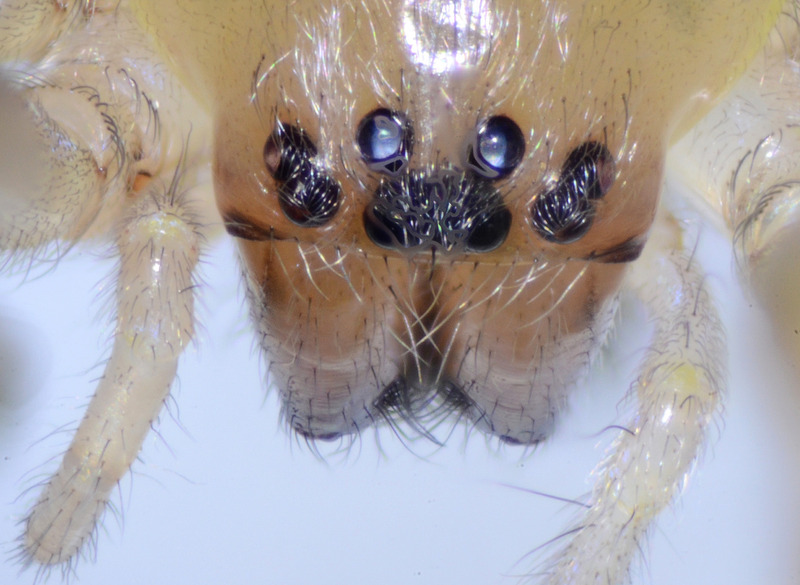 Cheiracanthium male. Photo: Natalie McNear, licensed under CC BY-NC 2.0. Natural History: Yellow sac spiders build silk ‘sleep-sacs’ in rolled up leaves (when living in the great outdoors) or where walls meet ceilings inside houses. They may rebuild these retreats every night just before dawn, and rest inside during the day. 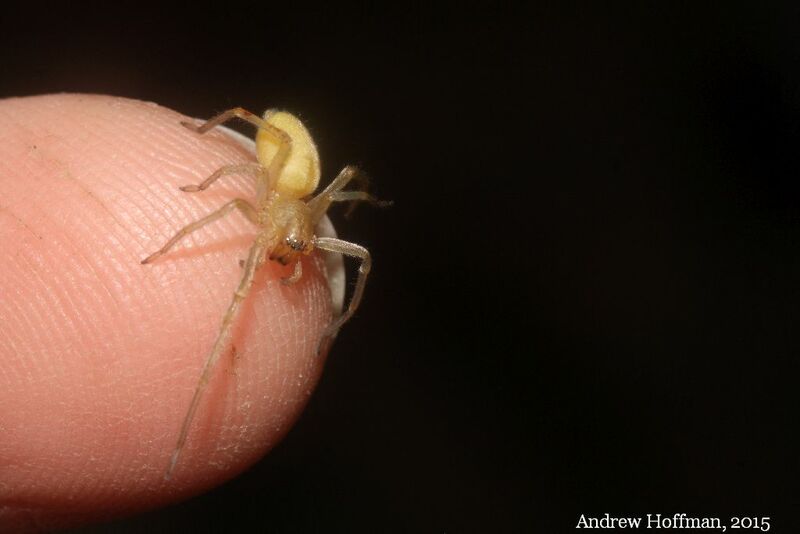 Yellow sac spiders are active nocturnal hunters, but in addition to insects and other arthropods, they also feed on extrafloral nectaries of plants such as castor bean. 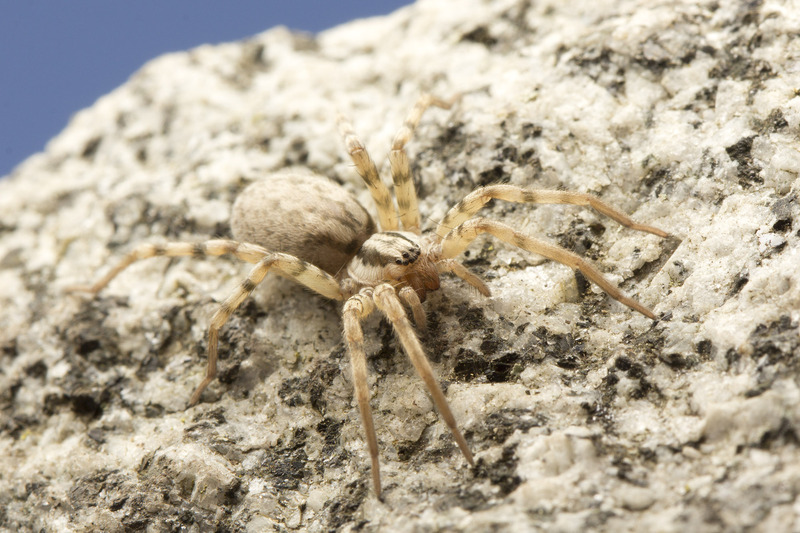 Most people think of spiders as strict carnivores, but in practice many spiders have a more varied diet. 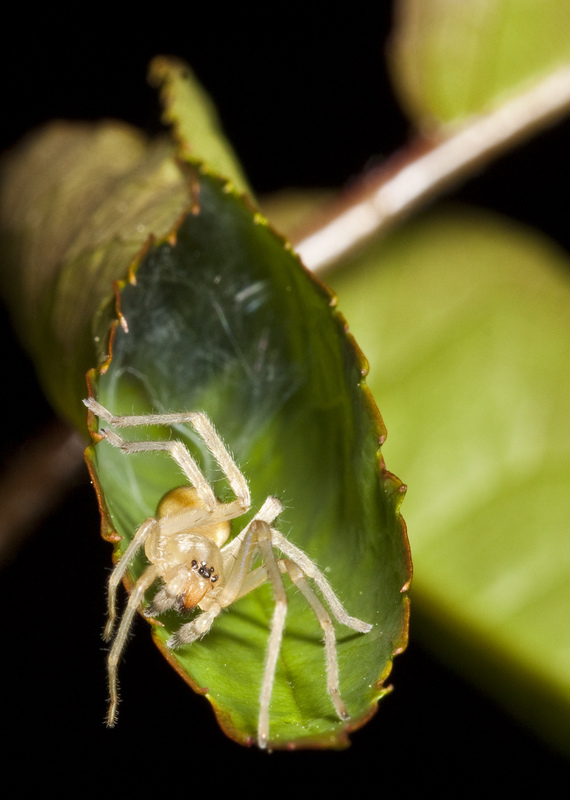 When a male finds a female in her sleep sac, they tap on the outside of the silk retreat (how polite!) and then start cutting the silk away from the entrance (less mannerly). 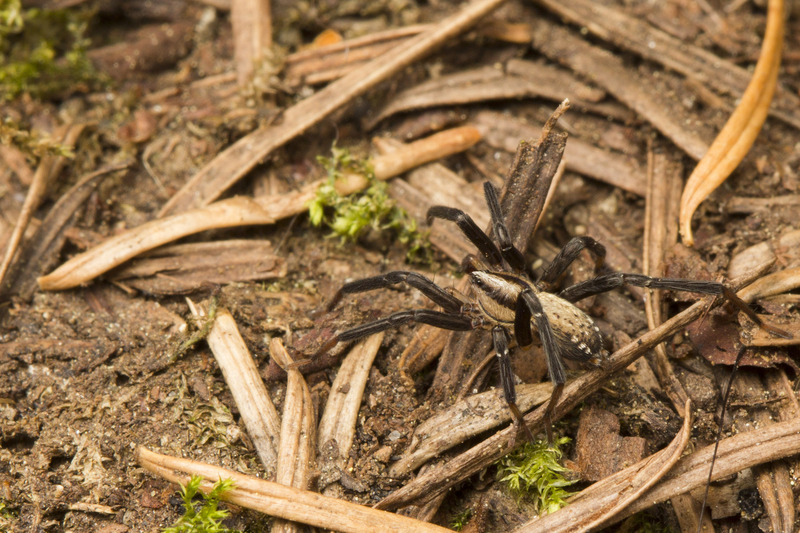 For a time, Cheiracanthium was considered one of three ‘medically significant’ spider genera in North America, along with the recluse spiders (Loxosceles) and the widow spiders (Latrodectus). 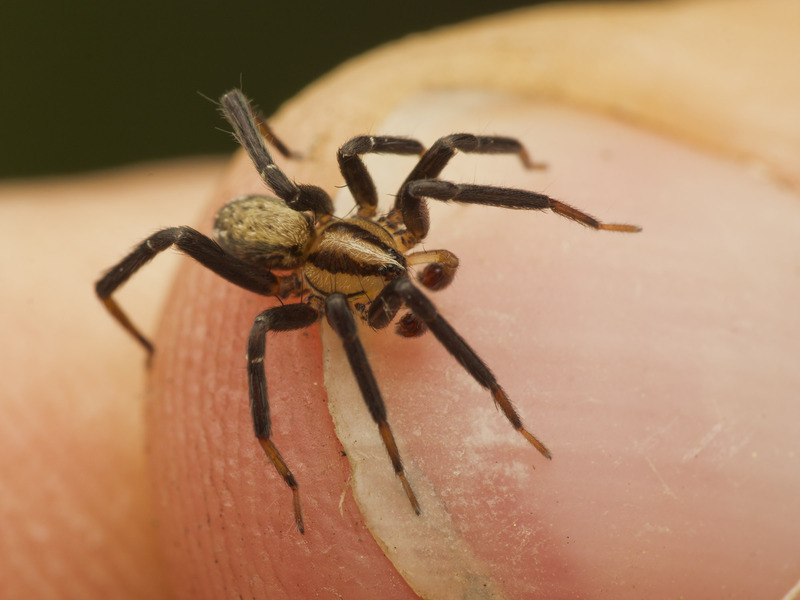 Their bad reputation turns out to be undeserved – they do NOT cause necrotic lesions like brown recluse spiders as was once thought. They do have a rather painful bite – like a bee or wasp sting – but the results of envenomation are not serious. 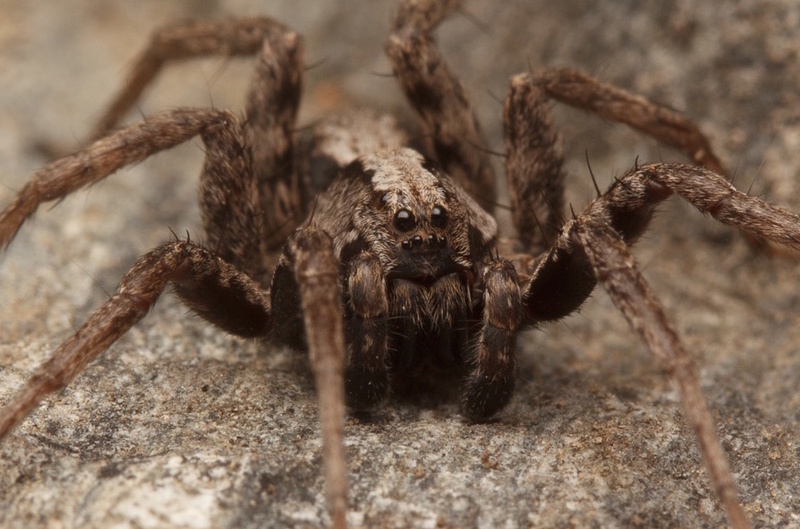 Because they often live in close association with humans, bites from these spiders may be more common than spider bites in general, but still extremely rare. (There’s probably one or more in your house, and you’ve almost certainly never been bitten – you’d know it if you had!) Remember that spiders don’t bite humans except in very rare circumstances. Cheiracanthium sp. from in Illinois. Note that it is NOT biting, but rather trying to escape! Photo by Andrew Hoffman, licensed under CC BY-NC-ND 2.0. 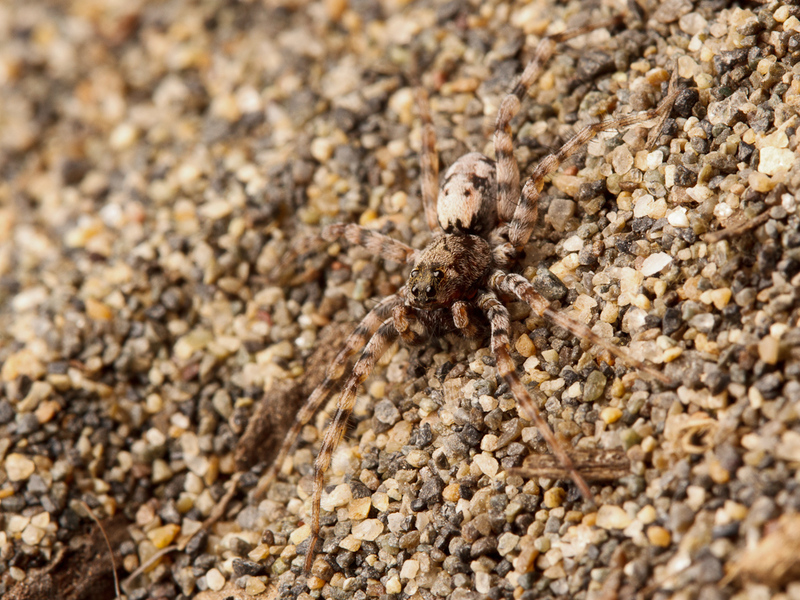 Check out his blog post about yellow sac spiders and the taking of this picture. 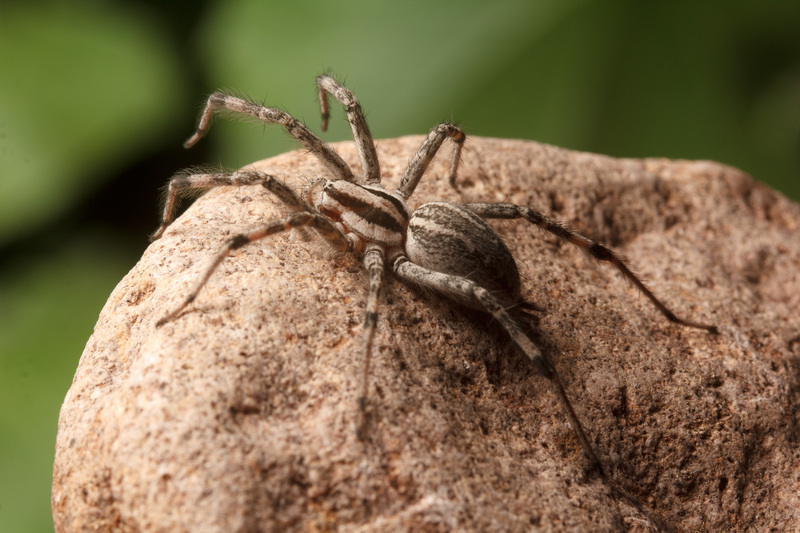 Another myth holds that these spiders are attracted to the smell of gasoline. Yellow sac spiders were responsible for the recall of several thousand cars but there is no actual evidence that they like the smell of gas. Taylor, R. M., & Foster, W. A. (1996). Spider nectarivory. American Entomologist, 42(2), 82-86. Vetter, R. S., Isbister, G. K., Bush, S. P., & Boutin, L. J. (2006). 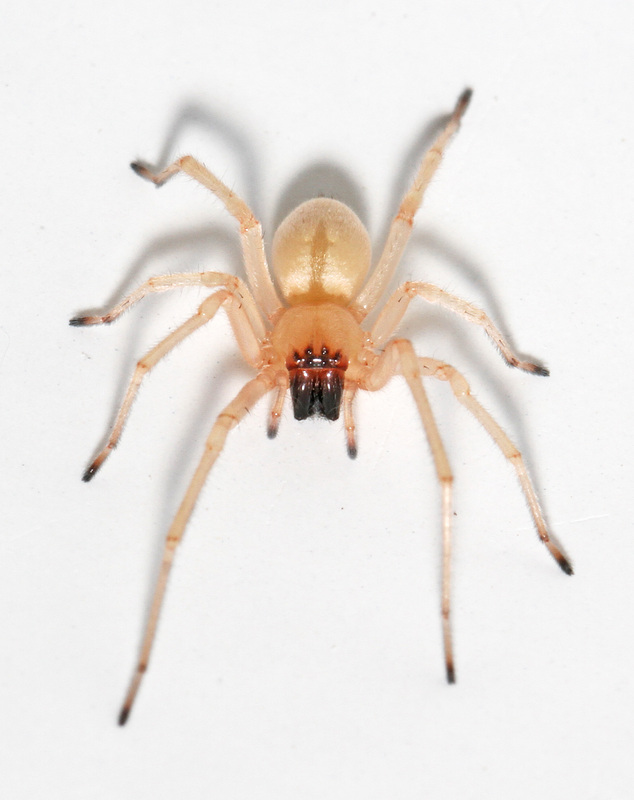 Verified bites by yellow sac spiders (genus Cheiracanthium) in the United States and Australia: where is the necrosis? The American journal of tropical medicine and hygiene, 74(6), 1043-1048.